The article below first appeared in the Huffington Post on February 22, 2013. We are reposting this because we believe it is of particular interest to our readers. In 2002, California made a historic investment that forever changed the landscape of our education system. With the passage of Proposition 49, an unprecedented half a billion dollars was devoted to after school programs -- more than all other states' investments combined. This money first went to work in 2007, at a time when we had no idea what was about to happen to our economy. But the six years since Proposition 49's implementation have been a powerful journey of collaboration and progress toward expanding learning opportunities for students in low-income communities across California. Initiated important conversations about how our significant expanded learning investment can support California schools in other priority areas such as Common Core implementation, bringing science education to more students, and building college and career readiness. There is a great deal of discussion nationally about the need to add learning time to the school day and the school year -- and varying points of view on the ways in which to tackle this challenge. Many of these discussions have focused on "time" as the operative factor. However, what we know from research and from experience bears out what Paul Tough recently wrote about how children succeed: time isn't enough. Students need meaningful ways to engage with their learning experiences, to build trusting relationships that keep them present and motivated, and to be exposed to opportunities that broaden their horizons beyond the walls of their neighborhood or their school building. We firmly believe that high-quality expanded learning programs, whether they take place after school, in the summer, through school schedule redesign efforts or otherwise, are the way to provide this for all our students. We are very proud of what we have collectively accomplished in our state. We have made serious investments in expanded learning programs, and we are serious about making these investments as effective as possible. We recognize that we are constantly learning about what works best, and we have much more to do to ensure all students receive a strong, well-rounded education. We believe the only way to move closer to that goal is through partnerships -- between policymakers and stakeholders; between school districts and community partners; within and across all kinds of public agencies; and between students, parents and their schools. Click here to read the full article about the strategies California employed after the passage of Proposition 49. 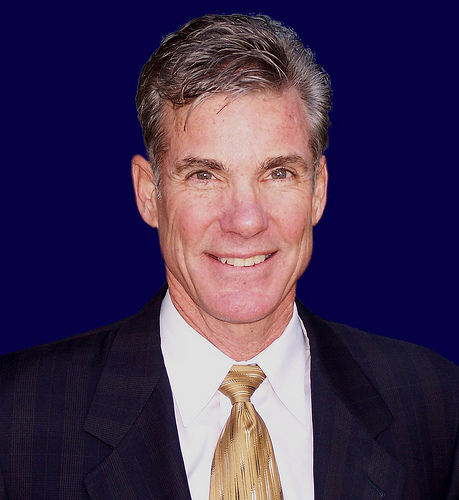 Tom Torlakson is California's 27th State Superintendent of Public Instruction. As chief of California's public school system and leader of the California Department of Education, Superintendent Torlakson applies his experience as a science teacher, high school coach, and state policymaker to fight for our students and improve California's state's public education system. Jennifer Peck was a founding staff member of the Partnership For Children and Youth in 2001 and became its Executive Director in 2003. Jennifer leads a coalition of California organizations advocating for new federal policies to improve the effectiveness of after-school and summer-learning programs.